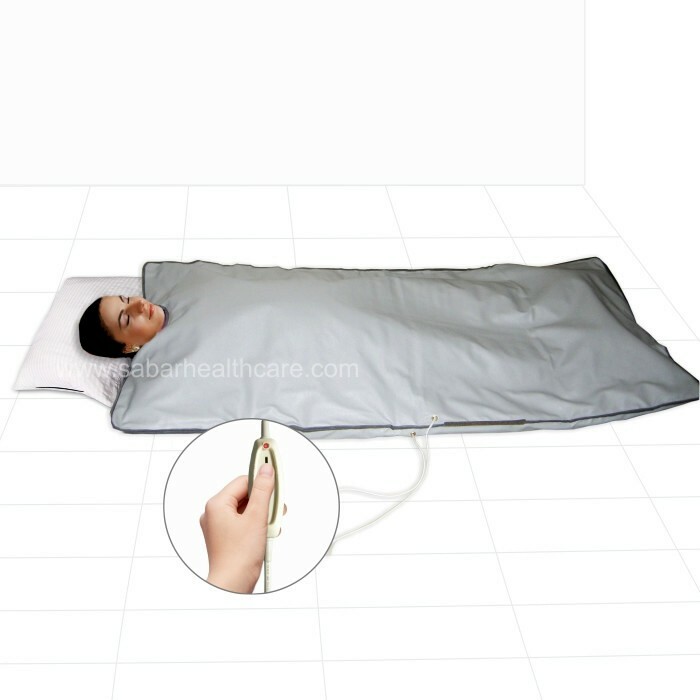 Sauna Slimming Blanket - SSB 300 - 3 ZoneSabar Sauna Slimming Blanket - 3 Zone with Digital&nbs..
Sabar Sauna Slimming Blanket is designed using the safest Infrared thermal technology for deep heat cellulite treatment. 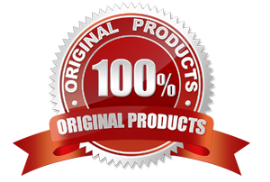 It is a verified product for fat, obesity, adiposity and cellulite reduction. 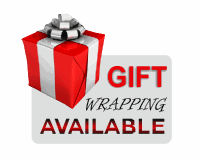 Its application is soothing, painless and comfortable. Constructed with multiple overloads protecting devices and having two-level variable temperature settings safeguards device. 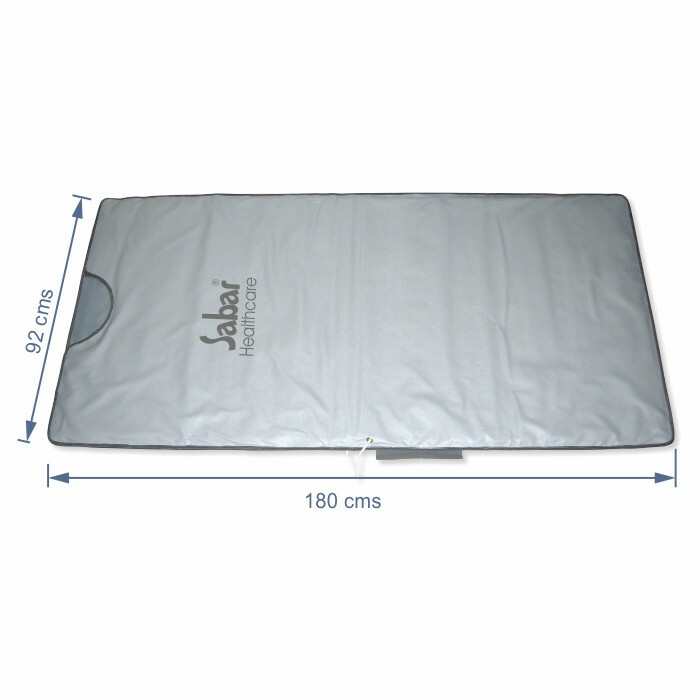 The Sauna Slimming Blanket - SSB 200 is made up of water-resistant man-made laminated fabric. It requires a tablespace for installation and use. It very easy to operate. It occupies very little space when folded. And a special carry bag makes it very handy to carry and store. 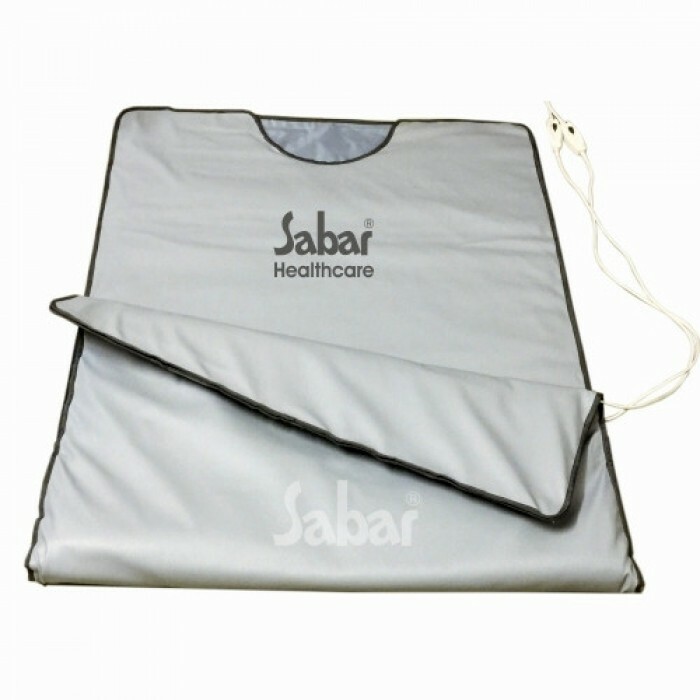 Sabar Sauna Slimming Blanket provides optimum therapeutic heat during Treatment. Help to reduce stretch marks. Specially crafted in tow zones Bottom and Top to Cover entire body except for face and head. Two Zones Bottom and Top can be controlled separately with two controllers. Comfortable therapeutic Heat Settings High and Low. 100% Safe construction with PTFE - Teflon® coated heating element with German technology. Overheat protection using Multiple thermostats. Four-way controllers with the two-Position power-off system. Two Separate Controllers for Top and Bottom parts of the Blanket. 9 Feet long mains cord. Size	: 180 x 92 x 1 Cms. Power	: 230 V AC, 50 Hz, 650 Watts. 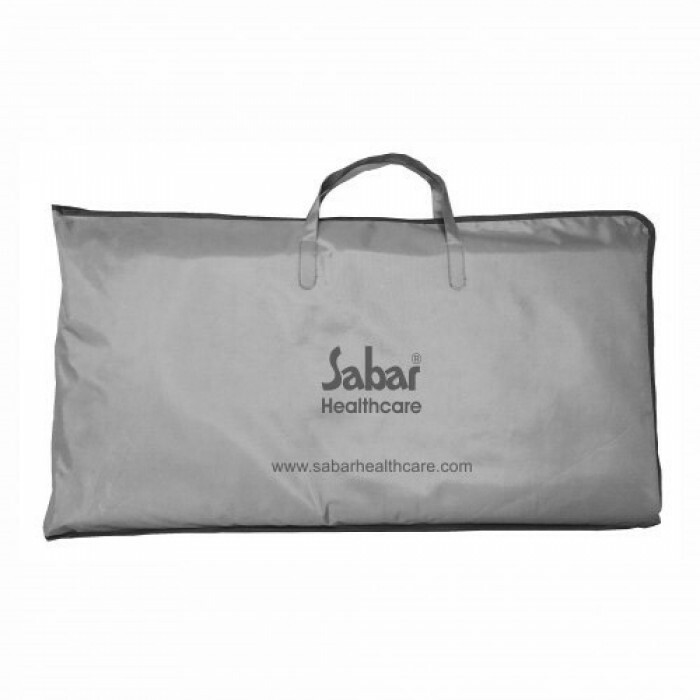 This SABAR Product carries with it 6 Months' Warranty against manufacturing defects and workmanship. Please refer warranty card for more details. Sabar Bio-Magnetic Ankle/Elbow belts :Sabar Bio-Magnetic Ankle Elbow Belts are specially designed fl.. These are Original and Genuine SparesBackguard hinges 1 pair and Brass Nut Bolts 4 SetsInstructions ..
Sabar Bio-Magnetic Neck Collar : Sabar Bio-Magnetic Neck Collar melts away stress and tens..